Reel's Auto Sales LLC has been in business since 1999. We sell vehicles from $3,500 to $25,000. We try to accommodate all budgets. We have sold over 5,000 cars, trucks and vans. If you are looking for something and do not see it on our website, please call and let us know what you are looking for. We are proud members of the NIADA (National Independent Automobile Dealers Association),and the OIADA (Ohio Independent Automobile Dealers Association). 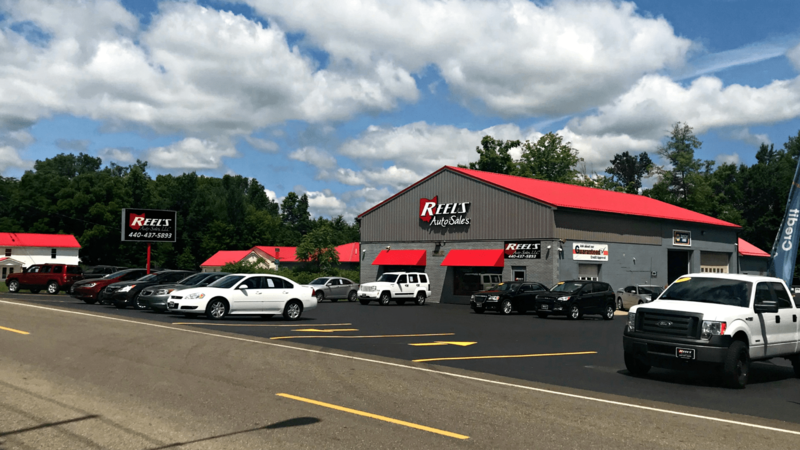 We are 1 of 5 independent dealerships in the state of Ohio that are graduates of Northwood University and NIADA's Certified Master Dealer Program (CMD). A CMD is a dealer who strives to uphold the highest business practices. We comply with all laws and regulations. Our customers are priority and our business goal is to attain success through customer satisfaction. This satisfaction is gained by listening to each customer and responding to the needs of that customer ethically, sensitively and professionally. We also sell or take on trade: Boats, ATV's, Motorcycles, Campers, Classic Cars, Sports Cars, Power Equipment, Tractors and more. Let us know what you have and we can go from there. We stand behind everything we sell. All of our vehicles get inspected and serviced prior to being sold. Reel's also has a service department. If you would like an appointment please contact us at 440-437-5893. Our Hours are: Monday - Friday 9am to 7pm and Saturday 9am to 3pm. Reel's Auto Sales has been visited 9,726,359 times.